We’re currently at the Munich airport awaiting the first leg of the journey: our flight to Bangkok. 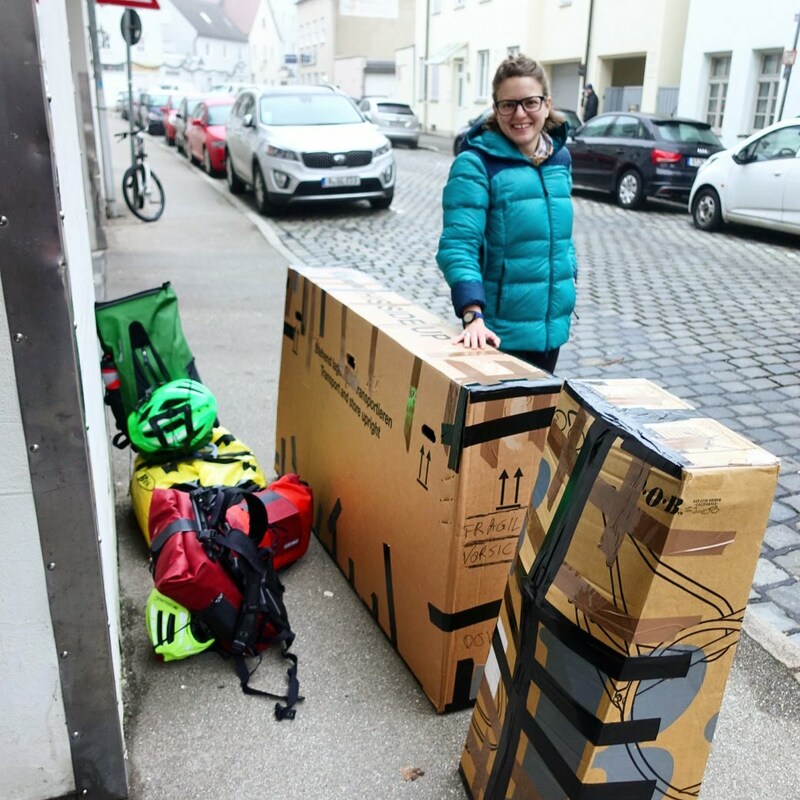 So far we managed to fit the bicycle box into our airport taxi and check in our bags and boxes with minimal problems (Cédric would like to tell Olivier that he yet again didn’t pay extra for the bike). Cedric and I have been experiencing waves of anxiety and nervousness since it has become very apparent that we’re leaving Germany for a year. We’re very aware of the loose ends we’re leaving behind, but also came to realization that there is no perfect time to do this… we just have to go. If anyone is wondering what our route looks like, see the image below. 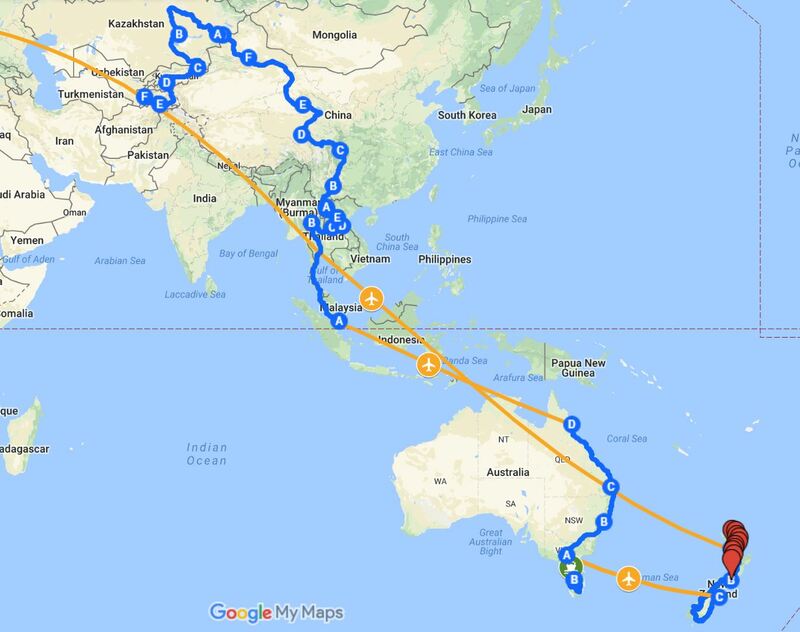 Although we say that we’re ‘cycling around the world,’ this is a bit of a misnomer because we’ll only be in two of the seven continents and our intended distance (20,000 km) would only take us half way around the circumference of the globe. We’ll also be sending GPS messages nearly every day, so our exact locations can be found here: http://talkie-walkie.us/current-location/ or possibly our Twitter account. Lastly, we would like to thank all of our family, friends, colleagues and others for supporting us and we can’t wait to meet you on the road to see you next Christmas. we wish you great adventures and a wonderful time! A topeeeee! Already slightly jealous! All the best guys.